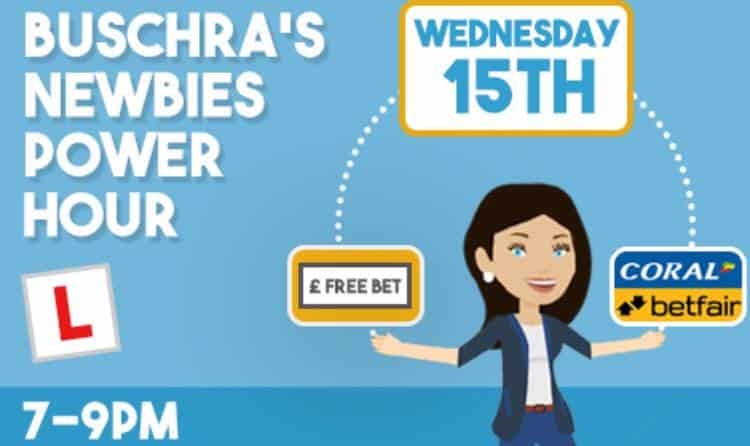 If I had to pick one thing that accelerated my knowledge of matched betting which significantly boosted my earnings, it had to be joining matched betting forums. While matched betting isn’t rocket science it certainly isn’t fool proof. So why wouldn’t you want to consume all the wealth of knowledge from forum members with decades worth of experience? I can’t tell you the number of times a member has corrected me from laying the wrong side, saving me a small fortune! Not only that but you get a chance to speak to like-minded people who are all on the same wavelength. Here are just a handful of reasons for joining matched betting forums. Benefits of match betting forums? Contrary to belief, while matched betting is risk free if executed correctly it is NOT idiot proof – mistakes can happen. While I’m not trying to scare you away from matched betting it is important for punters who are new to this that you can accidentally place the wrong bet meaning you lose money. So why have I mentioned this? It points out the significance of using matched betting forums and communities. There are hundreds of experienced players on the forums eager to help you out. All you need to do is post the matched bet you intend to place and within minutes you’ll have a number of members either confirming whether the bet is correct or not. This will at least give you some reassurance before placing the bet. 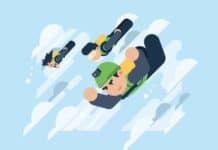 So which matched betting forums and communities are the best? 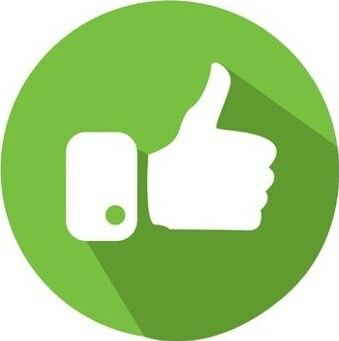 Well for the past year I’ve flirted between many matched betting forums to try and grasp as much insight and knowledge on the subject as possible. I’ve joined about a dozen matched betting and arbing forums, but have whittled it down-to the top 5 forums plus i’ll give you my top choice of matched betting forums for beginners and seasoned professionals. When it comes to actively managed forums with experienced administrators Team Profit wins hands down. I was blown away by the level of support they provide their 7500+ members. From beginners who post questions on the best way to take advantage of bookmaker promotions, to veterans who want to maximise their returns. 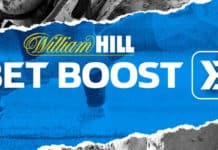 As well as this you also receive daily posts from Tom’s Lunchtime Profits, with a list of the best returns you can get from the main bookmakers. But what really impressed me was Buschra’s Newbie Power Hour. This is a live Q&A session on the forum for anyone new to matched betting that’s available Monday-Friday from 7pm. It’s this level of community support that puts Team Profit head and shoulders above the rest. The maestro of money saving has been matched betting from the very start. Infact the first matched betting specific post we found went all the way back to 2004. 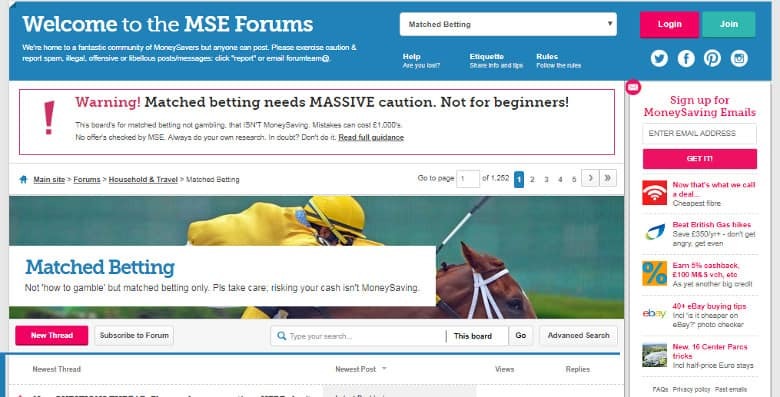 While MSE forum members are allowed to share betting recommendations they do stress that contrary to belief matched betting is not without risk. For more details on this we have a post explaining why matched betting is not risk free. While the site is packed with decades worth of experienced members, the forum isn’t sub-sectioned into further categories, which means you spend all of your time trawling through pages to find any specific content you want. With that said, most MSE members are money savers so are more than likely trust worthy with their suggestions. 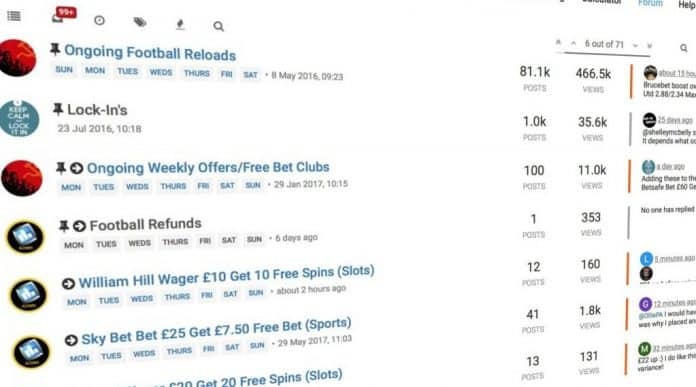 For me the forum is quite dated and not dedicated to match betting, but they do have some useful “sticky” posts at the top of the page for anyone new to this gambling strategy. Matched Betting Blog is relatively new (just over a year) but within that time it has already gained pace and attracted a decent following. The forum is looks sharp and to the point with no spammy banners ads and works straight from the browser (so no need for an app). This definitely appears to be an active forum with hundreds of live members on at any one time and tons of posts placed daily. The sub categories are well structured with one for new players, general chat and more specific match betting events such as the World Cup 2018. They also have an Archive section which I think is handy for previous major events should you need to look back at previous conversations with members. From a pure matched betting prospective this is more suited to experienced matched bettors i.e. less reliance on match betting tools. As you would expect with a tool that’s dedicated to finding you the best matched betting odds across multiple bookmakers, Odds Monkey community is in a league of it’s own! With over 40,000 members all willing to hand-out advice it is by far the best matched betting forum to join. Matched betting forums don’t get much better, but it comes at a price! What really stands out for me are the topics they cover in niche areas which I haven’t found elsewhere, such as matched betting abroad which we’ll also cover in a future article. Bear in mind this is a forum for premium members only i.e. paid subscribers to Odds Monkey’s matched betting platform so created by the same team that built what is arguably one of the best matched betting comparison tools in existence. With over 300k posts to date we’re sure that any questions you may have about matched betting has already been covered and easily found. 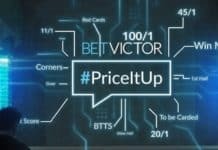 Not to be out-done by it’s main rival, Profit Accumulator equally has an impressive forum design with over 60k users and near to 2k active users at any one time, they do have a stronger user-base than oddsmonkey, but not by much. The forum has some nice features such as a post preview on the right-hand sidebar, so you don’t have to open that page up to read the latest comment. 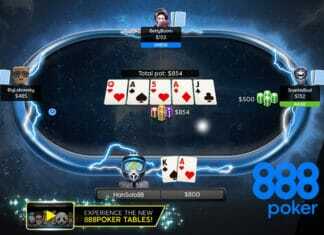 The user interface appears to be identical to Odds Monkey, so much so that I wonder if they paid the same app developer! When you get to the paid subscription level it’s swings and roundabouts and really down to your own personal taste. If you’re a premium PA member it makes sense to use their forum, especially if you’re new to this as they will certain help you out with any software issues. This is purely down to the level of support you receive and the response time from the admin team, which is important for new players especially if you end up making a mistake. It’s really difficult to differentiate between the bigger players but I prefer the layout and the way it’s categorised. There also appears to be more punters on the OM forum at any one time, with their own matched betting suggestions. Overall matched betting forums are a wealth of resource and great way for newbies to get up to speed on complexity of matched betting. For veteran professionals they are a source for finding new offers and of course bragging how much you made on the weekend! Let me know your experiences with any of the forums we discussed in the comments section below and be sure to mention any you’ve found that deserve a mention.